Hugely successful in international business Samuel Belzberg is also one of British Columbia’s most forward-thinking philanthropists. Mr. Belzberg specializes in ambitious and innovative solutions to pressing issues, focusing his exceptional efforts on causes that appeal to his deep caring for humanity. He is the founder and chair of the Dystonia Medical Research Foundation, which has invested more than $25 million in research and outreach. He inspired and led Simon Fraser University’s first fundraising campaign, which raised $68 million in three years. He has invested time and money in the humanitarian work of the Simon Wiesenthal Centre. He established, in partnership with Canada’s federal government, the Action Canada fellowship program, which fosters leadership among up to 20 outstanding young Canadians each year. In banking, real estate and investment, Mr. Belzberg built a strong reputation for success including founding Gibralt Capital, which today owns and manages more than $250 million of real estate and capital investments. 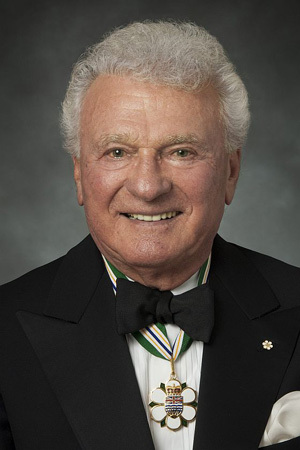 Mr. Belzberg’s enlightened and generous contributions have been acknowledged through numerous awards and honours over the years, including an honorary doctorate from Simon Fraser University. Mr. Belzberg is a member of the Order of Canada and was promoted to the Officer category in 2002.